Portland is the largest city in Oregon, United States and is a major port in the Willamette Valley. Due to the availability of resources, low energy cost and transportation connectivity, it is ideal for a lot of industries. It is a fast-growing city in terms of real estate too. For starting your career by pursuing CSD training in Portland, you will create for yourself endless opportunities that you can later easily materialize on. KnowledgeHut academy offers you a five-day course for CSD certification in Portland by the best of trainers. This course will begin with an introduction to the basics of the course on the first day to help you get accustomed to its nuances. On the second day, your tutor will give you lectures on the electives of CSD course in Portland. During the next couple of days of the workshop, you will get demos through e-learning and practice sessions for hands-on training. On the last day of the coaching, there will be a recap of the entire material discussed throughout the duration of the course. 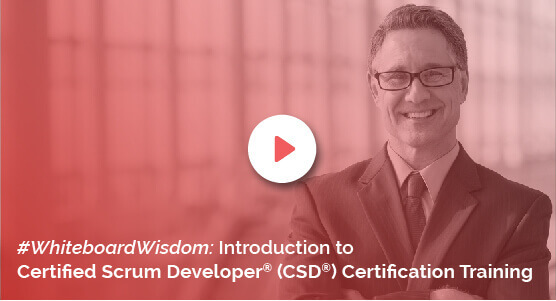 When you register for the Certified Scrum Developer Certification In Portland with KnowledgeHut, you get a lot of benefits apart from the very reasonable fee structure. The institute follows Scrum Alliance approved course material and gives you 100 days free access to its Agile and Scrum e-learning program. KnowledgeHuts Certified Scrum Developer Training In Portland, aims to provide the best possible training to each trainee from across the world. Innovative online-offline teaching methods are used to help the trainee gain both theoretical knowledge as well as practical experience.